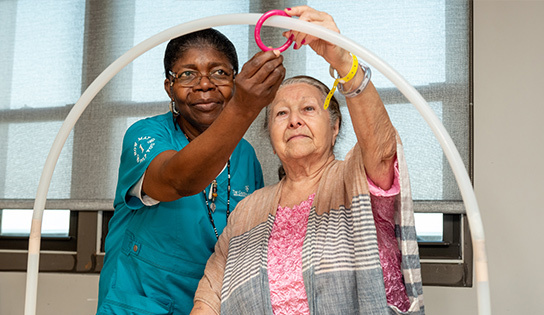 Individuals recuperating from surgery or illness regain their independence and functionality at The Chateau at Brooklyn Rehabilitation and Nursing Center. Every patient’s singular needs are addressed in a well-coordinated personal plan of care. Our multidisciplinary team works together to optimize each individual’s overall health, using progressive technology and strong fundamental rehabilitation techniques.